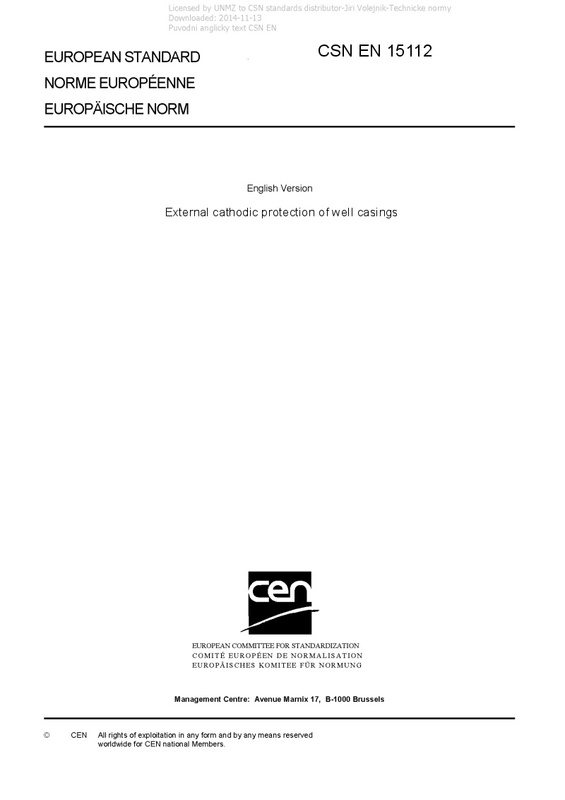 EN 15112 External cathodic protection of well casings - This European Standard specifies methods used to evaluate the external corrosion hazards of well casings, as well as cathodic protection means and devices to be implemented in order to prevent corrosion of the external part of these wells in contact with the soil. This European Standard applies to any gas, oil or water well with metallic casing, whether cemented or not. However, in special conditions (shallow casing: e.g. 50 m, and homogeneous soil), EN 12954 can be used to achieve the cathodic protection and assess its efficiency. This European Standard also describes techniques allowing determination of the current required for protection and ensuring correct operation of the cathodic protection devices installed.